The second lecture on Friday, January 21, 2011 that Dr, John Medina presented at PEN (http://www.parentseducationnetwork.org) was titled Brain Rules for Teachers. Dr. Medina, a developmental molecular biologist and author of the New York Times bestseller, Brain Rules, began with a familiar theme outlined in his previous lecture, Brain Rules for Parents. The brain is designed to solve problems, related to surviving, in an outdoor setting and to do so in constant motion. Secondly, the brain is incapable of multi-tasking. It takes a person twice as long and the margin for error is 50% when a person is multi-tasking. In other words, if you do well at task A, you don’t do well at task B. Keeping these core premises in mind, Dr. Medina moved on to discuss sleep. It seems that animals, particularly gazelles, sleep in short segments to keep themselves aware of any predator about to attack. Similarly, we wake up during the night and if stressed, sleep eludes us. Stress is an arousal force if left unchecked and will keep a person awake! Dr. Medina moved on to the topic of the brain’s need for sleep in mid-afternoon between 2 PM and 4 PM.. The brain wants a down cycle. It’s time to take a nap. Another way of expressing this idea is that the brain wants to rest 12 hours passed the midpoint of a person’s previous night’s sleep. “You may ignore this suggestion but you will not change the need,” he commented. It seems that an astronaut’s crew followed this discipline and there was a 34% improvement in the output of their work. So, Dr. Medina’s recommendation for teacher is: Do not teach between 2 PM and 4 PM. Dr. Medina’s discussion moved to the importance of each person knowing their daily rhythm including sleep times. 20% of the population he calls Larks. They are early birds, ideally waking at 6 AM and going to bed at 9 PM. Their productive time is the morning, peaking at noon. 20% of the population he calls Owls who ideally would go to bed at 3 AM and wake at 11 AM. The rest are Hummingbirds and fall into a “regular” day pattern. A person who is a Lark cannot transform into an Owl. You can try, but your body rhythm will not change. In summarizing sleep he said most of us are sleep deprived, a reason why school children who stay up late doing homework or other activities can seem unfocussed in school. When the students get to college and can take classes at the times when they are at the best, this behavior falls away. Dr. Medina suggested to teachers: The school of the future will have Owls teaching owls, and Larks teaching Larks. At this point teachers can’t control the sleep cycles of students but teachers can control how they teach. 1. The brain is not interested in learning, it is interested in surviving. Teachers need to be able to improvise off this learning base. 2. A teaching system, or any system needs to have two approaches to learning, memorizing and improvisation. If one is taught to learn and then improvise off it, the data base of the person becomes accumulative. The knowledge edge is accumulative. A teacher needs to develop their ability to have empathy. He suggests they give energy to learning how to penetrate inside the minds of their students. This can be taught, and Dr. Medina emphasized, kindness and safety will do more than anything else in your classroom. In the third hour the focus turned to memory. Dr. Medina cautioned that if a speaker says that memory works in a specific way, run out of room. It is not true. There are 40 memory gadgets in the brain. At the moment we know very little about them and we know very little about how they react. What we do know is that when a piece of information comes to the brain and the brain decides it is important it will put the information into a buffer memory. This buffer can hold seven pieces of information for thirty seconds. If it is not repeated within the thirty seconds, the brain will dump it. If the teacher or the student internally repeats it, the information goes into another buffer – working memory. Working memory has its own series of rules including that it will hold the information for only two hours. If not repeated within two hours, the brain will drop it. So, for teachers, Dr Medina suggested transforming the 60 minute lecture into three 20 minute segments. The first being the information, the second a different activity, the third repeating the information taught during the first twenty minutes. This approach might obviate the need for homework! If the information is repeated within two hours it is then recruited by brain for long term storage in the hippocampus located in the brain. It may take a decade to become permanent which is the reason why information within ourselves can become corrupted. At some point the hippocampus releases the information into the cortex. In this final phase, the information becomes infinitely retrievable. This memory process is a hint for teachers. Children who learn information in grade three cannot count on the information being imprinted in the brain for ten years. Students need to be retaught what they have learned. The brain is unbelievably sensitive to repetition. Remember, the brain was not designed to be in the classroom it was designed to be in the jungle. 1. The hippocampus is affected by drugs. Marijuana stops the process of integration of learning. 2. The greatest predictor of the ability to learn is the emotional stability in the home! There is more information on Dr. John Medina’s lectures for PEN. See blog Brain Rules for Parents. Dr. Medina’s website is: http://brainrules.net. His books are: Brain Rules and Brain Rules for Baby. Dr. John Medina, a developmental molecular biologist and author of the New York Times bestseller, Brain Rules was a guest speaker on Thursday evening, January 20th at PEN. (http://www.parentseducationnetwork.org) He is also an affiliate Professor of Bioengineering at the University of Washington, School of Medicine and the director of the Brain Center for Applied Learning Research at Seattle Pacific University. This evening his topic was Brain Rules for Parents. Dr. Medina is an energetic man with a robust physique and voice. His approach to lecturing involves stories that prove his points, facts quickly offered and a point of view that stops the listener in his or her tracks. He has much to share that is cogent and exciting. He envisions how it could be in the future implementing the information that he and other brain scientists know for sure about the brain. At the outset of the evening he kept reiterating that the brain’s unified performance envelope is designed to solve problems, related to surviving, in an outdoor setting and to do so in constant motion. In other words, the brain isn’t interested in learning, it’s primary concern is surviving. With this fact in mind he moved to the topic was stress. Stressed brains don’t learn in the same way as normal brains. He suggested to parents that if your child is stressed see what they are running from. The trigger points are the problem. The more out of control the child (or adult) is feeling, the more the learning, including short and long term memory is affected. Dr. Medina then turned his attention to the “home” stating that the single predictor of academic success is the emotional stability at home. Marital conflict causes stress not only for the couple but also their children. If there is marital conflict when the baby is in utero and the partners work on their relationship during this time both the baby and the relationship benefit. In other words when adults are able to control themselves both individually and in partnership, they change the nervous system of their kids. He said that if the woman is feeling she is being heard by the man, the marriage works. An important key to being heard is that the woman is able to communicate her psychological behavior in the way a man can understand it. He can then respond by examining his behavior. A stable home environment is particularly important for kids with learning disabilities. There are some kids who are hyper active because they don’t feel safe. There is good news around what improves the stressed conditions. Aerobic Exercise: Aerobic exercise affects something in the brain that assists the memory process. It has been proven that memory can change as a result of this type of exercising. The caveat is that the exercise program must be continuous (30 minutes of aerobics 3 times a week). Scientists are now researching the value of exercise for both ADD and ADHD conditions. Reason: exercise affects the brain chemistry. The more an individual saturates the blood with oxygen, the less there is depression (merely increasing the amount of oxygen without aerobic exercise did not have the same effect.) He emphatically stated: PE, physical education, is the most important hour in a kid’s academic life! There is more information on Dr. John Medina’s lectures for PEN. See blog Brain Rules for Teachers. Dr. Medina’s website is: http://brainrules.net. His books are: Brain Rules and Brain Rules for Baby. Ms. Johnson comments: I would suggest this book for anyone who is looking for answers as to why an individual struggles in school. Ms. Mountstephen uses her background as the leader of a large specialist support center at a major independent school and as an educational and neurodevelopmental delay specialist is private practice to put this book together. She also consults internationally to schools and organizations from her home in the UK, giving her the experience to understand all she writes in this book. The book has two parts: Child Development and Signs of Delay in Part 1 and Interventions for Home and School in Part 2. Part 1 includes factors affecting early development including pregnancy and child development, genetic and environmental factors, and the role of primitive and postural reflexes. The chapter on what to expect in the early years is helpful in determining if development was typical or delayed by reading through lists of milestones. 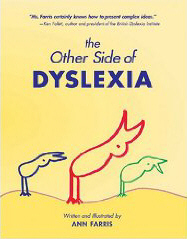 Next Ms. Mounstephen writes about special education and specific diagnoses, including dyslexia, dyspraxia, and ADD/ADHD. Part 2 is all about the “What to do Next” in the title. She looks at movement, such as neurodevelopmental programs, balance, handwriting, and using a multi-sensory approach to classroom and home work. The chapter on Vision, Visual Processing and Learning includes information such as why vision issues are frequently not found, strategies for children with visual problems, vision therapy, a vision assessment checklist, and the link between primitive and postural reflexes and visual problems. Indeed this is a thorough and important chapter! Children receive informational input in school using two primary modes: vision and hearing. So another wonderful chapter is on Hearing, Auditory Processing and Learning. She discuses the importance of these skills, language development, causes and symptoms of auditory processing problems, dealing with these issues in the classroom, speech and language therapy, and finally listening therapy programs. The final chapter is on how a psychologist can help, written by Elvie Brown, and educational psychologist. In it she about her role, why see an educational psychologist, and information about a psychological assessment. Sample assessments help a parent know what to expect. Finally, the Appendices include forms to aid a parent as they help their child, a brochure about Central Auditory Processing Disorder, and many resources. I recommend this book highly for parents and professionals alike, as they seek to change children’s lives from struggling to learn to being successful in school. I was able to purchase it off Amazon.com.